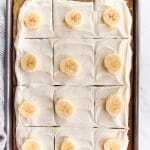 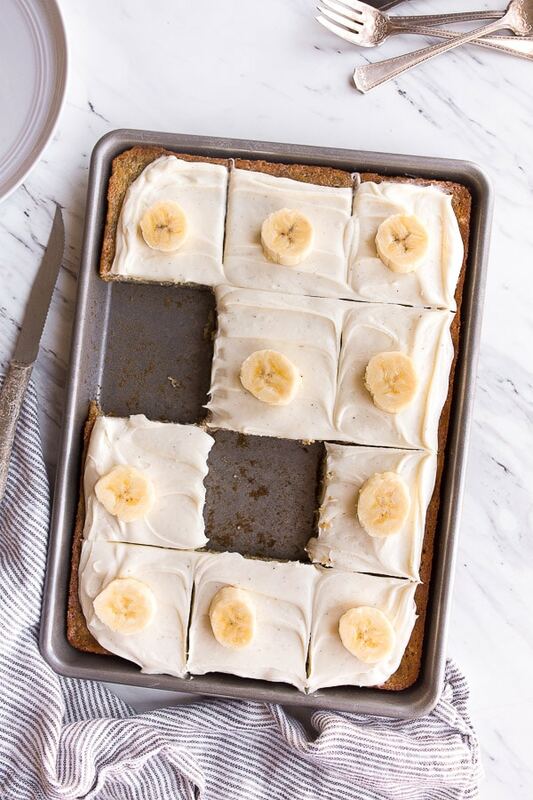 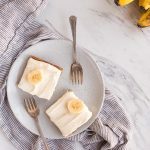 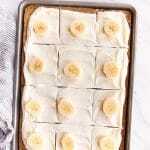 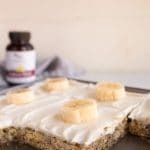 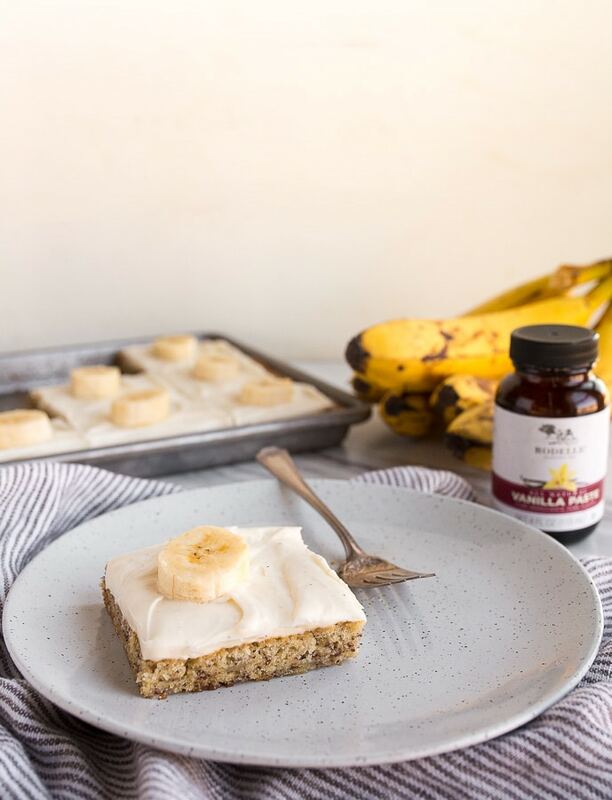 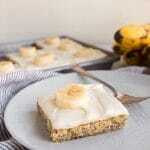 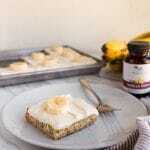 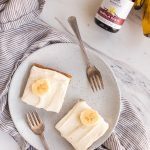 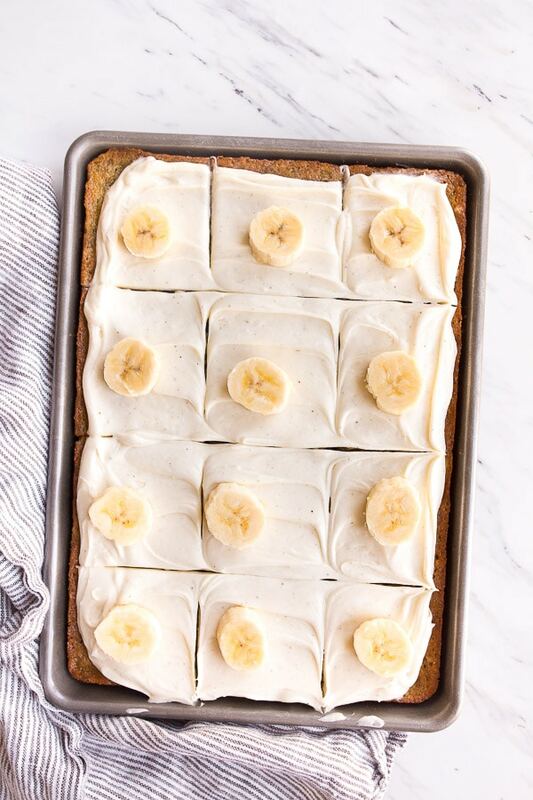 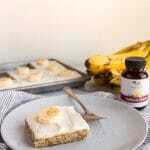 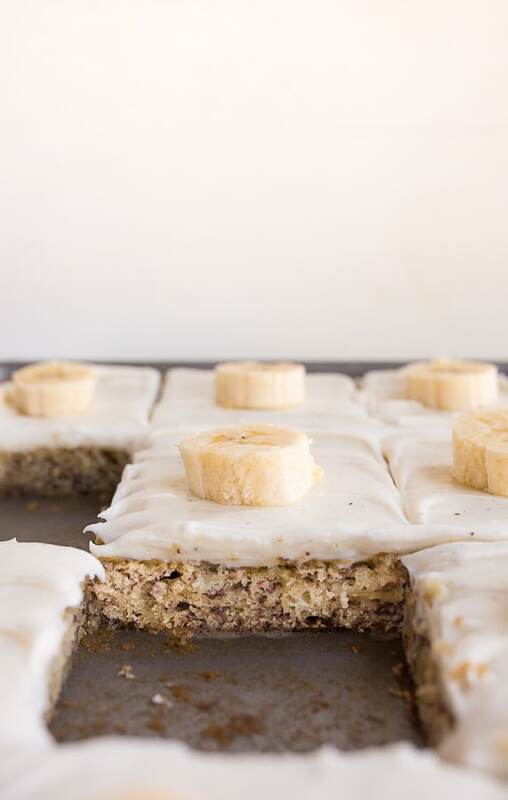 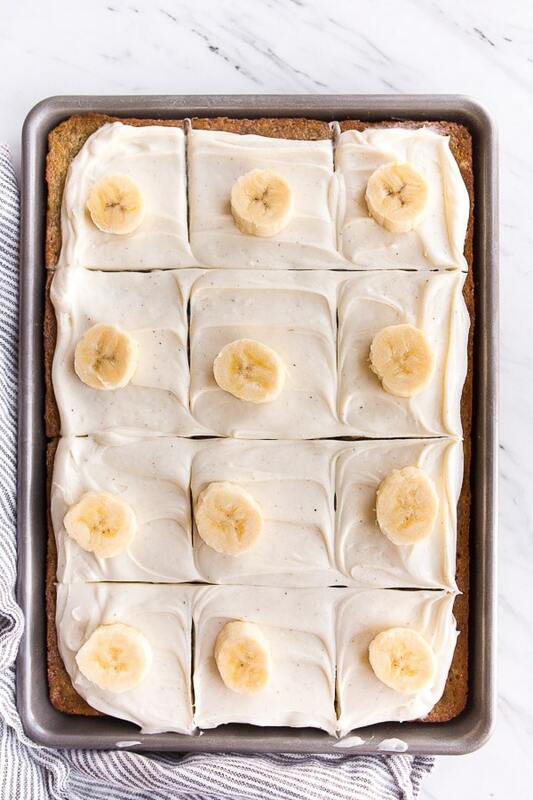 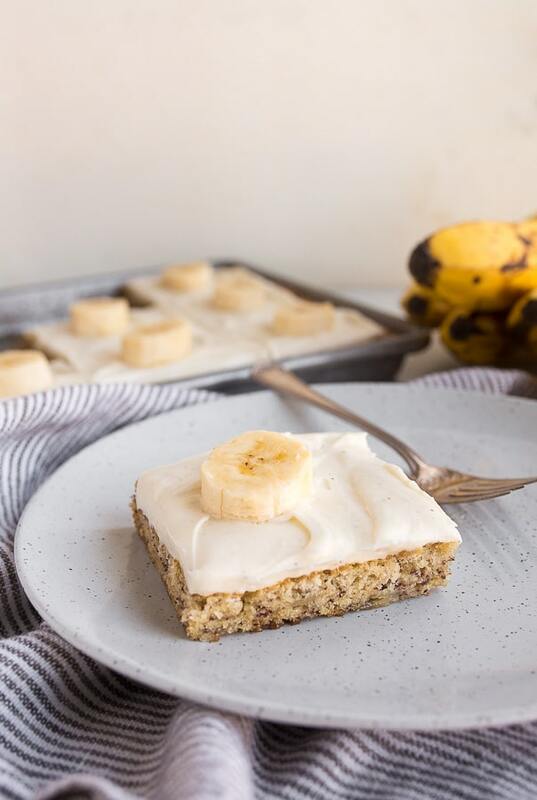 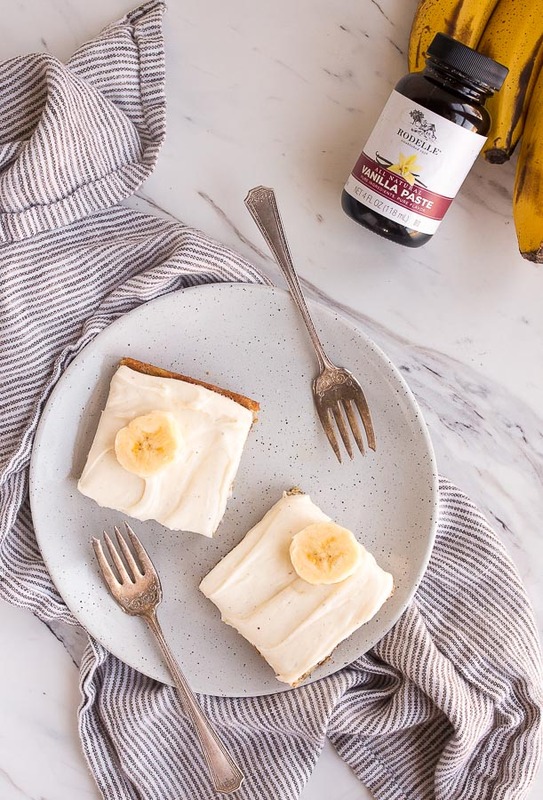 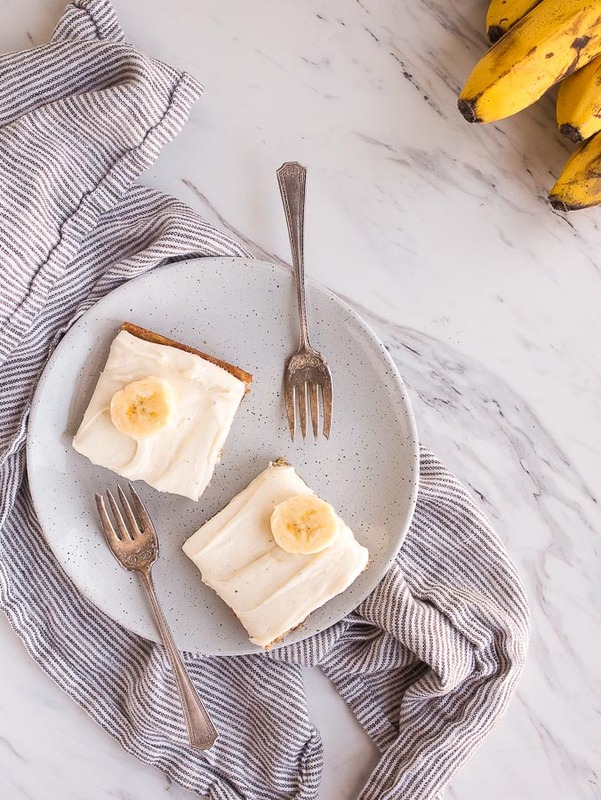 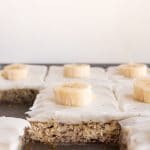 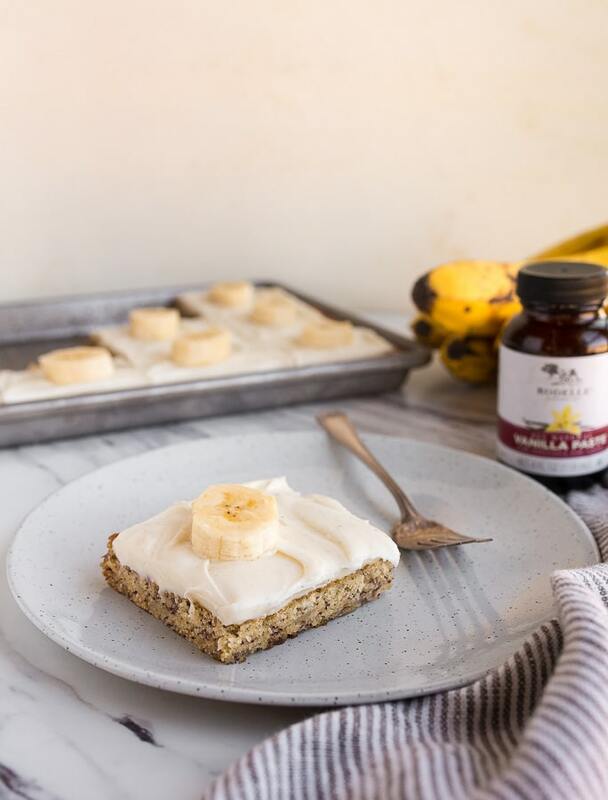 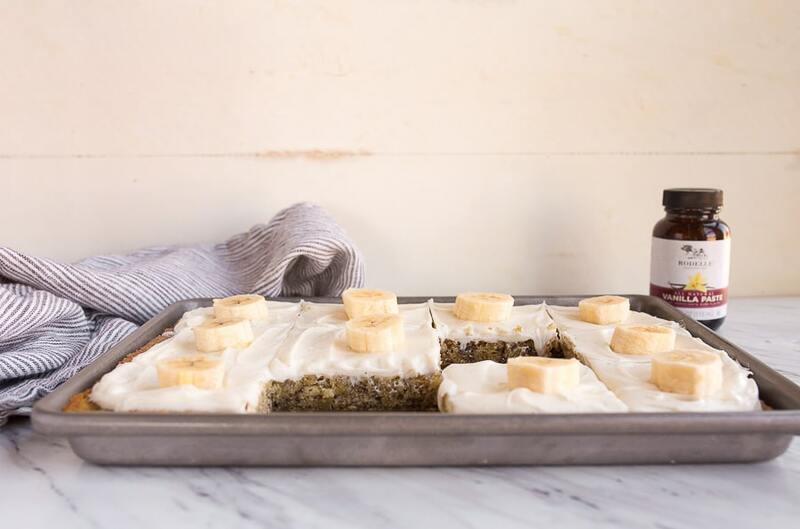 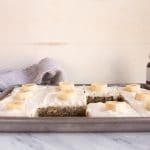 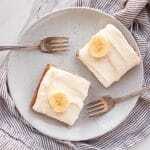 Banana Sheet Cake with cream cheese frosting, made in a quarter sheet pan! 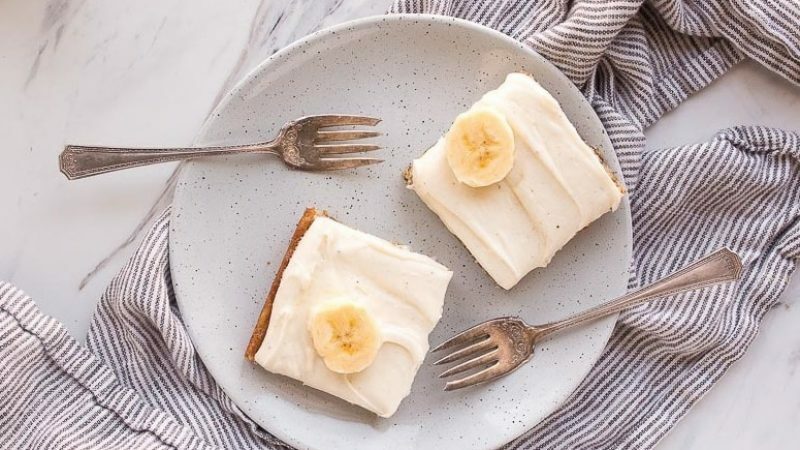 Topped with Cream Cheese Frosting, this easy recipe is a new staple at Rodelle. 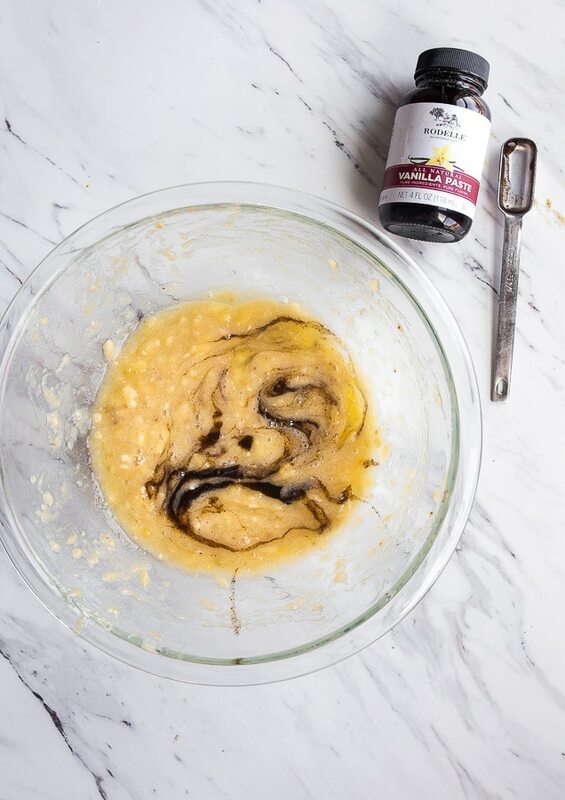 In a large bowl, whisk together the flour, sugar and salt. 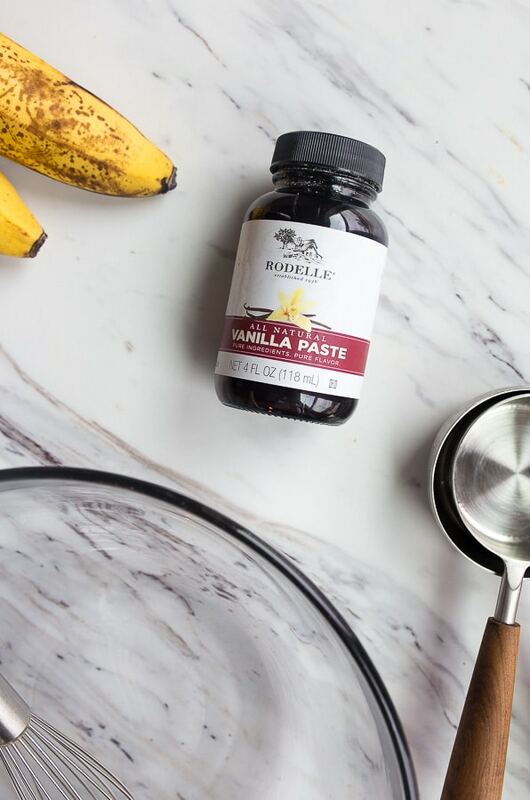 In a separate bowl, whisk together the melted butter, buttermilk, egg white, mashed banana, vanilla bean paste, baking soda and nutmeg. 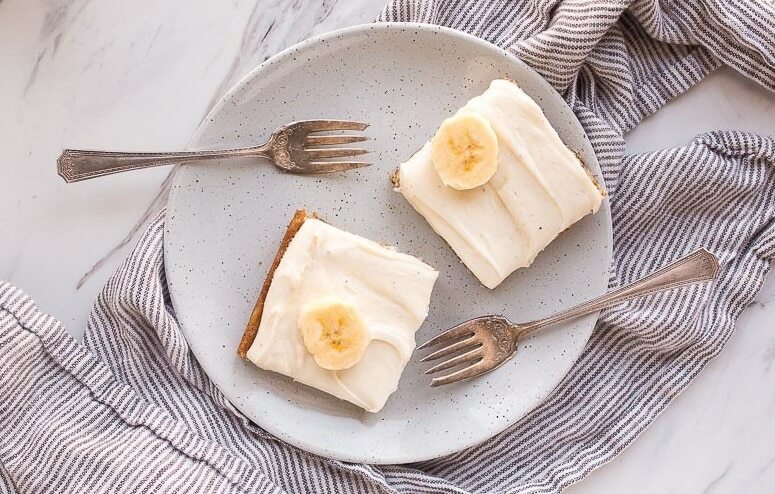 Mix very well. 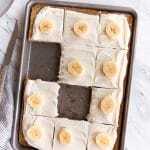 Note: This recipe was prepared for Rodelle by Dessert for Two. 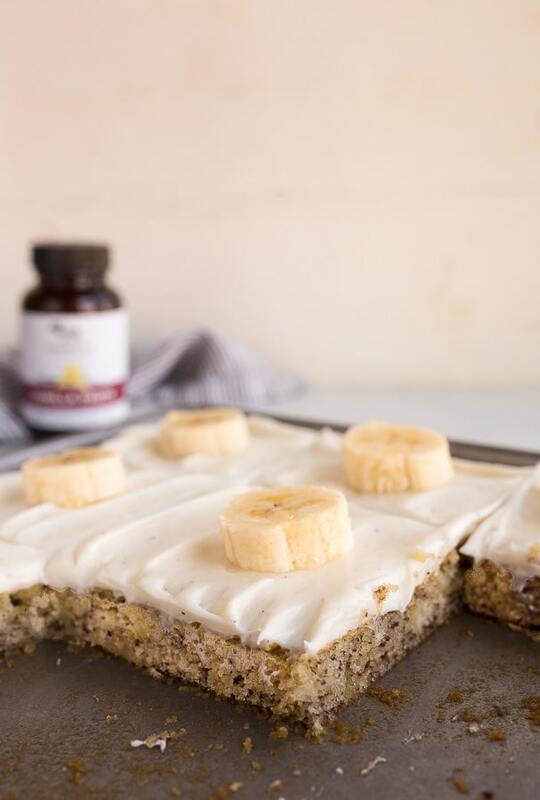 Click here to see the original post and some additional recipe tips!